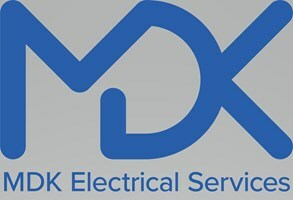 MDK Electrical Services - Electrician based in Maidstone, Kent. My name is Mike, I am a sole trader who has run my own business since 2017 based in Maidstone, Kent. I am a fully insured, 18th edition, Part 'P' qualified, specialist in domestic electrical repairs and installations. I am happy to provide a comprehensive and straightforward service to help you solve your electrical problems. I work collaboratively with a network of other skilled electricians and tradesmen in the local area which means that no job is too big or too small! I can offer high-quality workmanship and quick, professional customer service - both before and after the work is completed. Everything you need to know is clearly explained to be sure that customers are never baffled with technical terms! I am registered with NICEIC (registration number D607730) which means that I am assessed on a regular basis to ensure I am competent and capable of meeting the relevant technical and safety standards, codes of practice and rules of the registered Domestic Installer Scheme. In addition, for peace of mind for customers I am Disclosure and Barring Service (DBS) checked which has replaced the Criminal Records Bureau (CRB) check.